Depression is often a misunderstood illness. It is no surprise then that many people think that this problem is reserved for humans and that dogs can’t suffer from depression. While depression in humans is not exactly the same as depression in dogs, it can still present a serious problem for canine population and their owners. Depression in dogs is typically observed through behavioral changes that can’t be explained by any other health issues. These behavioral or mood changes in the dog usually include decreased interest in their normal activities or changes in interaction with you and other people. Studies show that boredom and lack of mental stimulation that lead to apathy are often one of the main causes of depression in pets (Wemelsfelder 1993; Meyer-Holzapfel 1968; Carlstead 1996), but there could be a number of other reasons too. Human depression is a complex clinical condition and has many sub-types. One of them is generalized depression, which is diagnosed after talking with the patient. Since this is not possible to do with dogs, depression that affects canines is considered different and impossible to diagnose in the same way. That’s why it is important to know the symptoms of depression in dogs and when you need to take your dog to the vet and start taking measures to treat depression in your pooch. Symptoms of dog depression are similar to symptoms that humans suffer from. Dogs can become withdrawn, inactive and change their eating and sleeping habits, like sleep more and eat less. Some dogs may lick their paws excessively to soothe themselves. Many signs of dog’s depression are similar to those of a stressed out dog. Your pup can show a lack of interest in exercise, walks, playtime and other activities they usually enjoy. You may notice that your dog is hiding or avoiding you. In some cases, dogs with depression can display a sudden onset of aggression and become disoriented or lost, even at home. Many of these symptoms can also be explained by various medical conditions, which is why it is important to take your dog to the veterinarian to get the proper diagnosis and rule out other diseases or problems before it could be determined that depression is the main culprit. Dogs usually suffer from depression after some major changes in their lives but it can also be caused by some minor problems, or improper care for the dog. Here are some of the most common causes of dog depression. Mental stimulation is just as important as physical one – regular playtime, games, puzzle toys and other tools that make your pup’s brain work. When there’s a lack of brain stimulation, or when the pup is regularly ignored by the owner and left to their own devices, boredom is likely to set in, which subsequently leads to apathy. Boredom in dogs is difficult to assess empirically; however, there’s enough research to suggest that boredom is closely related to problematic and stereotypical behavior in depressed dogs (Wood-Gush et al. 1983; Gunn et al. 1995; Paquette et al. 1988). Once boredom and apathy have set in in the dog, the next stage is likely to be depression, as observed in the above mentioned studies. Similarly to boredom, it’s important to help prevent and manage stress in dogs to avoid that growing into depression. There are many reasons dogs can experience significant amount of stress, and boredom is one of them (Maier 1984; Gilmer et al. 2003). Once that happens, the illness follows the similar trajectory of boredom in dogs. Depression in dogs can also often be the result of some other health issue. Your vet will always try to rule out physical problems if you notice any behavior changes. Painful conditions and problems will almost certainly make your dog act differently. Chemical imbalances in the brain can also be to blame, just like they can be with humans. Environment is often of huge importance. Changes in your dog’s environment or schedule can trigger depression. Moving to a new home is one of the most common cause of depression in dogs due to a high amount of stress. Even a change of scenery like a house renovation can trigger depression. Weather can also impact your dog’s mood but unlikely to cause depression. Dogs can react dramatically to environmental changes and it may take them time to adjust to the new circumstances. When regularly left alone for a prolonged period of time within the same environment, dogs can get bored, stressed and later depressed, too. When your pet’s environment is the same and his routine is the same, without you there to stimulate and play with the dog, it will negatively affect his overall health (Anisman et al. 2005). Dogs grieve just like humans for the loss of their human or animal companions. Your dog’s depression can be caused by death in the family, or your dog may be grieving for someone who just moved away or went on vacation. Losing a favorite playmate can often be behind canine depression, especially a playmate from the same home. As the dog continues to miss and stress over a companion that’s now gone, their mental health may start deteriorating. Your dog may have a phobia that makes him act depressed. Dogs often show fear in different manners than you might expect. Your pooch might be trying not to seem scared so he doesn’t look vulnerable and retreat from his regular activities in order to protect himself instead; other times it’s simply difficult to tell when the dog is scared when the signs aren’t very clear. By now research has shown that dogs can feel their owners’ emotions. If you are sick or depressed, your dog will usually pick up on the signs and your energy, which can make him feel like you do. The pet may also feel depressed if you are not home for long periods of time, which is similar to separation anxiety without the acting out. Most dogs with mild signs of depression will get better within a few days to a couple of months, with nothing more than extra attention and love. However, depending on the causes, it may be necessary to treat depression in a dog with medications. Here some of the most effective treatments for dog depression. One of the most effective ways is treat depression in dogs is to provide more physical exercise. Set up a regular playtime and training routines for your dog. Exercise is recommended for humans to fight depression as well and dogs are not much different in that regard. Increased physical activity will encourage your dog’s endorphin production and prevent obesity, which can reduce his energy levels even further and prolong his depression. Try to find new ways to play and train with your dog – pick out new doggy workout routines, try indoors and outdoors games, set up agility jumps in your backyard and run around with your pet. There’s a huge number of new activities you can always try. Breaking up your dog’s daily routine is one of the possible causes of depression. Dogs are creatures of habit and changes to their regular schedule can make them feel confused, insecure and uncomfortable. Try to walk your dog regularly, feed him at the same time every day and stick to the schedule regarding his bedtime, playtime, grooming, etc. That said, this only applies when your dog’s regular routines provide him with enough physical and mental exercise – plenty of training, playtime, toys, communication, petting and so forth. If that’s not the case, changes to their routine when the dog is already depressed might be necessary. Similarly, adding new routines and new things for your dog to do can be of great benefit. Studies have shown that environmental enrichment has many positive effects in animals, and is likely to prevent boredom, apathy, stress and depression (Meagher et al, 2012). As the above studies indicate, your dog’s boredom can quickly turn to melancholy and apathy. Try to keep your dog stimulated and entertained; communicate with your dog, spend time with him and don’t leave your pup alone at home for too long too often. Get him a new interactive toy that stimulates his brain, play a new game with him that he hasn’t tried before, teach him a few more cool tricks, etc. Socialization – both with humans and other animals – can also help your Fido get out of his bad mood, especially if the possible reason for his depression is the loss of a playmate or not having one in the first place. Take your dog to your local dog park as often as you can and schedule regular play dates with other dogs. You may even consider getting another pet to keep your pooch company, if the conditions for it are right. Dogs live to please their owners, and thus require encouragement and signs that they do good work. Use praise and healthy dog treats to reinforce good behavior in your pup. Set up brief training sessions as an excuse to reward him whenever he engages in some activity like taking a walk and doing it correctly, playing a game, or learning a new trick. However, you need to be careful and ensure that you don’t reward your dog to benefit the cure of depression itself. Don’t break out affection or snacks until he does something worth the praise, otherwise he may associate depressed behavior with getting a reward and you may inadvertently reinforce the dog’s melancholic mood. As an alternative to regular veterinary procedures, you can also consult with your holistic veterinarian and try some homemade or natural remedies if your dog’s depression lasts for more than a couple of weeks. Some of the natural remedies that can help with depression in dogs include various herbs like herb St. John’s wort or sandalwood, which can relax your pooch. Flower essences like Gentian, Gorse, Honeysuckle, Star of Bethlehem have been used to help with depression as well. You can also try homeopathic remedies like Ignatia, which can help your shake his grief. As the last resort, if nothing else helps and your veterinarian recommends it, you can use medications to help your dog get out of his depressed state. Many of the medications for depression in dogs are the same as those humans use, such as Prozac, Zoloft or Paxil. There are a few other drugs you can use as well, but it’s crucial that you’ve first attempted to fix the cause of depression in your dog (physical and mental stimulation, for example) and that you have your vet assess the pet to pick the right type of medicine. The most important thing in dealing with your dog’s depression is patience. Just like it takes time for the depression in a dog to set in, it may also take a few months for your pooch to get back to his old self, so try to do all that you can to help him and give him time to get over his depression. The combination of all the above treatments is likely to result the best and quickest path out of depression. Senior dogs can be particularly difficult to feed. Their metabolism has slowed down, and they may even have some health concerns that can be helped with the right diet. This homemade senior dog food won’t be right for all older pups, so be sure to check with your vet before switching. As your dog’s metabolism slows and he becomes less active, he won’t need to eat as many calories each day as he did when he was young and full of energy. He may also need to eat a diet higher in fiber that includes pre- and probiotics for digestive health. Supplements, like glucosamine and chondroitin, are also beneficial to include in senior food recipes. There are many beneficial supplements that can aid in joint and hip health, digestion, cognitive ability and skin and coat health. Your dog may need assistance in all of these areas, and your vet can help you decide which supplements may be right for your pet. Before you decide to switch your dog’s diet (whether he’s a senior or not) you need to discuss the change with your veterinarian or a trained canine nutritionist. Trying to make the switch yourself could lead to malnutrition or nutrient toxicity. This homemade senior dog food will not be nutritionally balanced for every dog, so be sure to check with your vet about supplements and/or multivitamins that would be beneficial to add to the recipe. Brown the beef in a frying pan until cooked completely through. You’ll need about 3/4-1 cup of DRY brown rice to make 2 cups of cooked brown rice. Cook the rice according to the instructions on the packaging. Mash the boiled egg. Combine the egg, cooked brown rice, cooked ground beef, pureed pumpkin and blueberries in a medium-size mixing bowl. Mix until thoroughly blended. Blueberries have the highest antioxidants of all foods, and help to improve heart health, blood pressure and improve memory/brain function. They have even been shown to protect against aging and cancer! For more on the many benefits of adding blueberries to your pet’s diet, check out our science-based guide on the subject here. Pumpkin is also a superfood for senior pets. Pumpkin is incredibly nutritious with relatively few calories and a huge amount of vitamins, antioxidants and minerals. One of the biggest benefits of adding pumpkin to this homemade senior dog food is its high fiber content, which aids in digestion and helps with weight control. Once the food has cooled, you can feed it to your dog. The recommended serving size is about 1/2 cup for every 25-30 pounds of body weight. This recommendation is for 2 servings per day. If you’d like to feed your senior dog smaller meals throughout the day, divide his daily recommended serving size by the number of meals you’d like to serve. For example, a 50-pound dog would need about 1 cup of food per serving. At 2 servings per day, he would eat about 2 cups of food each day. If you’d rather feed 4 smaller meals each day, feed 1/2 cup over 4 servings. Keep in mind that more active seniors may need more calories than this, while lazier dogs may not need as many. It’s best to check with your veterinarian about the best serving size for your Fido. You can store leftovers in an airtight container for 3-5 days. You can also make this homemade senior dog food in bulk and freeze it in an airtight container for up to 3 months. Over-vaccination is a term that we are frequently hearing these days. It’s a concern for parents of human and furry children alike. What is over-vaccination? How can you prevent it? This is a common question that I am asked by listeners, and it’s a question that I myself asked many years ago. Roxanne Hawn is the author of the award-winning dog blog Champion of My Heart and my guest today. Sadly, she has first-hand experience dealing with a pet that had a terrible reaction to a vaccination. Roxanne shares her dog’s tragic story, what she’s learned from the experience and tips for pet owners to prevent over-vaccination in the future. Disclaimer: Some of the links in the description are affiliate links, which means that if you click on one of the product links, I’ll receive a small commission. This helps me to continue to make videos like this. 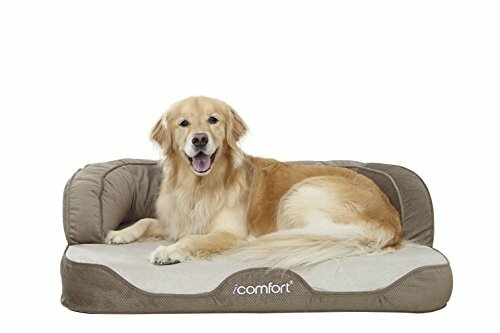 There are a million and one cooling dog bed brands out there, but which are worth the investment and which are cheap knockoffs with no ability to cool down your dog? More importantly, when does a bad cooling bed for dogs prioritize the cooling factor over all other necessary components, such as stability, chew-proofness and overall comfort? We’ve tested many dog beds here on Top Dog Tips over the years, and for this round-up have done the dirty work for you. Here are 9 best cooling dog bed brands to consider! What We Like: Durability, cleanliness, comfort, a variety of patterns, cooling, sturdy bolsters. The price on this cooling dog bed is enough to make your eyes water, but as someone who has this very bed for a few years now, I can attest that this is the ultimate pet bed for every need. What helps to keep this bed cool is the same thing that makes me love it so much – the unique mattress material. The thick mattress inside the custom-made cover is made from a compressed, spring-like polyethylene that is fully washable, has a lot of give, and it does not allow for heat buildup. I was pleasantly surprised with how breathable and cool this bed stays because it also has the comfort of more traditional orthopedic foam beds that tend to build up heat. Of course, as a mom of a senior dog with incontinence concerns myself, the complete washability of Snoozer’s cooling dog bed was my primary need (seriously, you don’t understand – the mattress, the bolster pillows, the cover… it’s all washable!) but the added bonus of the whole bed being washable is that it doesn’t build up odor like traditional orthopedic foam does. Lastly, the variety of fabrics available for this bed is an added bonus. For dogs who den, Snoozer offers performance type fabrics on their site that are more durable (I have the “Show Dog Collection – Palmer Dove fabric which has been very durable.) For dogs that prefer softness over durability, there are softer plush fabrics as well and the pillow top that’s built into the bed adds to that. Overall, if you’re looking for one of the best cooling dog bed brands that will last for your dog’s lifetime and adapts to every need, Snoozer is one to consider (and this dog cooling bed in particular). 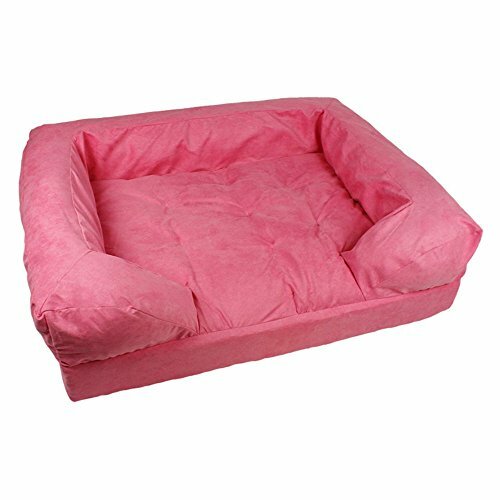 It’s a pet bed that can be thoroughly cleaned, that is fully supportive, that looks gorgeous, and is sturdy for dogs of all ages. What We Like: Durability, cleanliness, cooling, affordability. What We Don’t Like: Unsuitable for dogs that are unsteady on their feet. 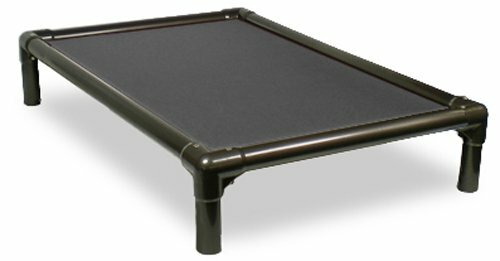 The Kuranda’s cooling dog bed is the bed of choice for animal shelters and boarding facilities because of its durability and price-to-value ratio, which is outstanding. The frame of the bed is available in PVC or aluminum for chewers which makes it ideal for all dogs. The solid frame also provides a sturdy foundation that holds the bed off the ground without any instability. The fabric of this cooling dog bed and the height of the legs ensure airflow around and through the bed. This reduces heat buildup and odor while also making cleaning as simple as spraying it down with a hose. 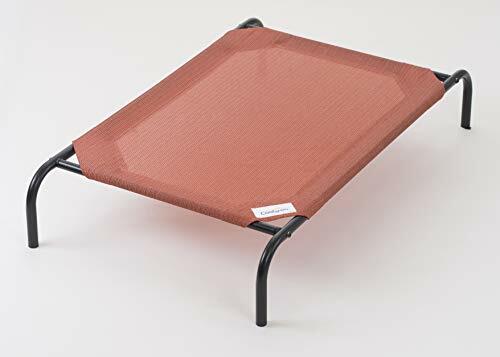 However, one of the biggest drawbacks to Kuranda’s cooling dog bed is that it tends to lack the comfort factor (similar to their chew proof beds) and adding a pad to the top of the bed for comfort prevents the airflow that keeps this bed cool. Additionally, without an added pad on the bed, the washable, breathable fabric of the cot can be slippery and unsafe for dogs that are unsteady on their feet. What We Like: Cleanliness, seamless integration with furniture, furniture grade construction, cooling, deep seat. What We Don’t Like: Only available in one size. Personally, I’m not huge on furniture style dog beds because while they have an aesthetic appeal, they tend not to be the most comfortable option. This Enchanted Home Pet Library Sofa cooling dog bed is a slightly better option than most, though. This bed cools by virtue of the faux-leather fabric that covers it which has the added benefit of wiping clean and holding up to longer nails. The foam cushion inside the faux-leather cover is quite thin (2 ½”) but with the added frame of the couch itself, it provides comfort without absorbing odor. Another reason that I personally like this cooling dog bed is that it is large enough to accommodate big dogs. 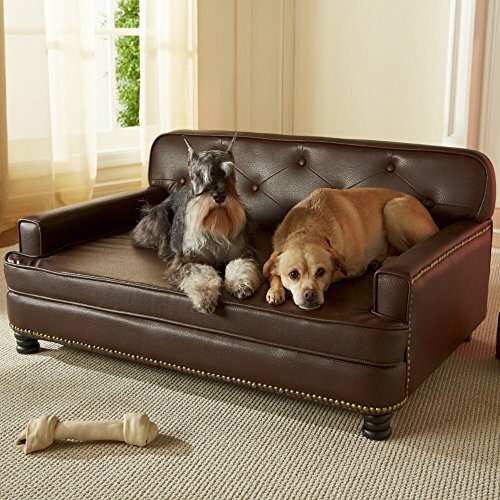 Most furniture-style dog beds are made for dogs under 25lbs, but this sofa can support up to 90lbs and has plenty of stretching room for smaller large breeds. Plus, if you have a “leaner”, the arms of the sofa are perfect headrests. What We Don’t Like: Foam holds odor, foam could be thicker. 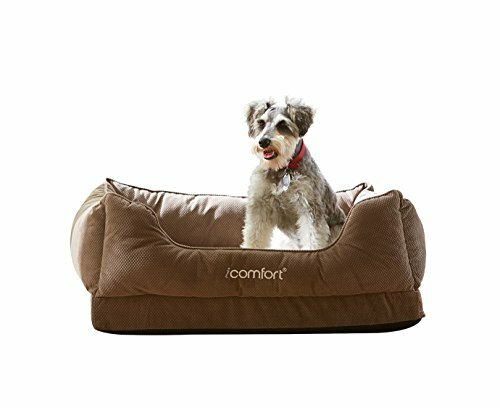 The cooling foam of this affordable cooling dog bed choice is ideal for dogs in need of joint support. A non-slip bottom keeps the bed in place and a waterproof cover keeps the bed from absorbing liquid leaks. One of the biggest benefits of this bed aside from the price tag is that it comes in 7 different sizes, so you don’t have to compromise when it comes to finding a bed that fits your dog. Orthopedic cooling foam offers support and cooling, but it comes at a cost. With this bed, although the foam is cooler than more traditional orthopedic foam beds, it does run warmer than our top three beds. Unfortunately, since it’s foam, it also holds odor and is difficult to thoroughly cleanse. What We Like: Supportive, washable cover, waterproof internal case, large size, sturdy headrest. 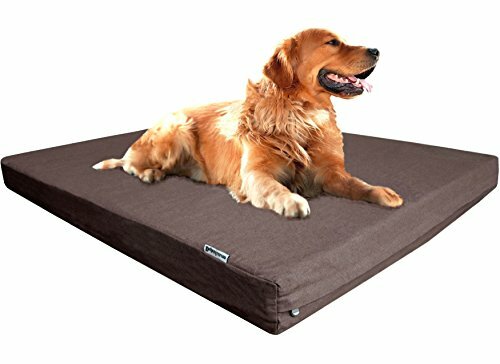 Another cooling dog bed from Dogbed4less brand, this orthopedic pet bed is identical to the one I’ve mentioned above, but it also features a bolster at the head of the bed and is available in fewer sizes. The bolster measures 4” above the top of the bed and provides great support for “leaners”. Considering that most other quality bolster beds go as high as $200, this one with cooling and orthopedic features is a good deal. What We Like: Raised sides, cooling, non-toxic, machine washable, 100% satisfaction guarantee. What We Don’t Like: Not much support for older pets or pets with joint concerns. Although it offers great cooling, this isn’t a very supportive or comfortable cooling dog bed option and honestly I wouldn’t recommend it for everyday use, as is the case with all other cooling dog mats. Since it is a thinner option and doesn’t depend on ventilation for cooling, however, it can be used on top of a second more supportive bed like one of the cots recommended above. What We Like: Deep side walls, washable cover, comfort, cooling, the Serta brand name. What We Don’t Like: Size availability, sizing is on the small side, some customers have had durability issues, foam holds odor. The Serta iComfort Cuddler cooling dog bed is one of the few cuddler design pet beds that has a built-in cooling option in their gel memory foam. 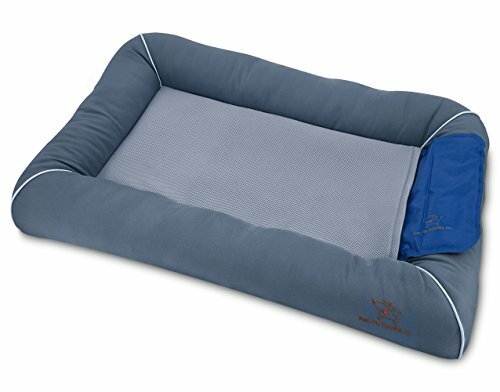 If you have a dog that “has to” sleep in a cuddler style bed, this is one of the only ones you will find, unfortunately, sizing is limited to the basic options. The limited sizing isn’t the biggest concern for me when it comes to this bed, though. Of course, the fact that the foam base will hold odor is a concern since only the cover is washable, but there is also a lack of structure to the walls of the bed. Without firm structure, beds like this tend to collapse in on themselves and turn into the plain cushion type of bed after a few uses. What We Like: Modern design, Serta brand name, larger than expected, bolster design, washable cover. What We Don’t Like: It’s hard to find replacement covers, cover durability is questionable, foam holds odor. The Serta iComfort Sleeper Sofa is a bolster bed option from Serta that offers the cooling properties of gel memory foam. The base of the cooling dog bed is quite thick providing support for aching joints and relieves pressure on the joints of dogs who are less mobile. As a fan of bolster beds, I like the support offered by this bed’s bolster and the fact that the cover is washable. Although cooler than regular orthopedic dog beds, this bed isn’t the coolest option available. Additionally, you face the possibility of odor due to the foam interior. 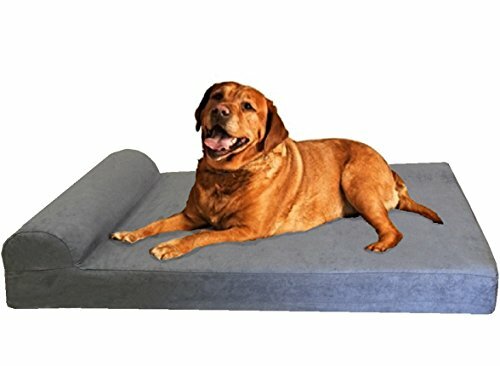 That said, if you are looking for a supportive cooling bed with a bolster and can’t afford the Forgiveness Sofa from Snoozer, this is one of the better options available UNLESS you have an aggressive chewer or denning dog. What We Like: Price, cleanliness, cooling, high elevation for added cooling, mold and mildew resistant. What We Don’t Like: Hard to put together, unsuitable for elderly dogs with stability issues, lacks comfort without additional padding which reduces cooling. The Coolaroo elevated cooling dog bed is one of the most popular and most affordable cot beds that offers an alternative to the Kuranda bed to families on a shoestring budget. The material of the bed is exceptionally breathable which creates a free flow of air and a cool sleeping environment. This fabric is also tough and mold and mildew resistant, allowing for outdoor as well as indoor use. The breathable Coolaroo fabric also allows for quick and easy washing. The steel frame is sturdy and provides a solid foundation without “give” and creates a taut hammock style sleeping surface. This is another cooling dog bed that I have one of the longest experiences with personally and I have two major issues with it. Firstly, I can’t begin to explain how difficult it was to put this bed together on my own. The fabric stretches so tightly that it’s virtually impossible to pull the legs into place and secure them correctly. If you have two relatively strong people available, this shouldn’t be a problem. My second issue with this cooling dog bed is the same for all cot-style beds – it’s simply not comfortable or supportive enough for dogs who are unsteady on their feet. To create a comfortable bed, you can purchase a fleece pad, but this prevents the air circulation that keeps the bed cool in the first place. If you have a strong, young dog, however, this is a good affordable option for a cool sleeping area. When deciding on choosing the best cooling dog bed brand for the rest of this summer, be sure to prioritize your dog’s primary needs and use those needs to select a bed that is suited to your pooch as an individual. There may be other “better” dog beds overall, but they may not fit your or your Fido’s lifestyle. For example, an elderly dog may need cooling from their bed but more than that they need stability and joint support, so a raised cooling dog bed wouldn’t be the best choice for senior dogs. Every dog has unique nutritional needs that are based on their age, weight, breed, activity level, health condition and other variables. Puppo Personalized Dry Dog Food is kibble that is made with your dog’s needs in mind. Fill out a short questionnaire about your pup, and they will create a recipe that is healthy and nutritious for your canine companion. Many popular, top-selling brands of dog food use harmful ingredients like artificial colors and preservatives, fillers and even toxic chemicals. As your pet’s caregiver, it’s your job to advocate for him and make sure that you’re feeding a high quality diet that provides the nutrition he needs without any of the harmful ingredients that are commonly found in commercial pet food products. As with almost every consumer product, you have to look at the big picture and not just the “now.” Saving a few dollars on dog food now may actually cost you more in the long run. Did you know that some studies have shown links between common ingredients in commercial dog food products and the risk of cancer? So, how does Puppo personalize dog food recipes for your pet? Are the recipes nutritionally balanced? Is the food made with safe, high-quality ingredients? I’ll give you all the details in the review below. It’s easy to get your dog signed up for Puppo Personalized Dry Dog Food. 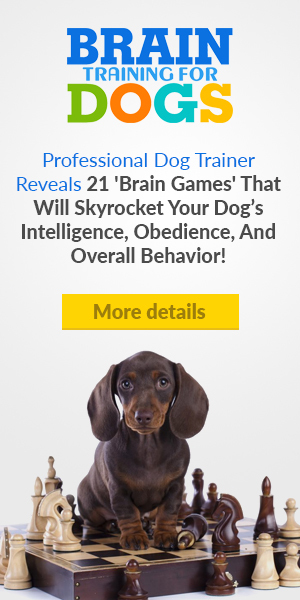 Simply go to the company’s website and fill out the questionnaire about your dog. If you have multiple dogs, you can fill out questionnaires for each when placing your order. …and anything else that you feel you need to add to help Puppo determine the best diet for your canine companion. This dog food is made with no corn, wheat, soy or by-product meals. It also has no artificial preservatives, flavors or colors. It is made with wholesome, real food ingredients, and real meat is the first ingredient in every recipe. Puppo Personalized Dry Dog Food is also made with whole grains. A blend of vitamins, minerals and antioxidants are added to ensure that the nutrients provided by the dog food will meet your pup’s unique nutritional needs. There are even grain-free options available for dogs with allergies or food sensitivities. Puppo has a research and development team that is lead by experts in veterinary medicine and nutritional biochemistry. They develop all of the unique recipes, and are available to chat online 24/7. As you can see in my video review above, our dogs are thrilled with their Puppo Personalized Dry Dog Food. They’re excited to eat it, which tells me they really enjoy the flavor and texture. Puppo doesn’t offer a wet dog food recipe at this time, but the kibble size is small. The ingredients in Saddie’s secret recipe are: chicken, chicken meal (source of Glucosamine and Chondroitin sulfate), whole grain sorghum, split peas, rive bran, powdered cellulose, brewers rice, lamb meal (source of Glucosamine and Chondroitin sulfate), natural flavor, dried sweet potato, chicken fat (preserved with mixed tocopherols), dried plain beet pulp, potassium chloride, choline chloride, DL-Methionine, salt, dried apples, dried blueberries, dried carrots, mixed tocopherols and citric acid (preservatives), zinc sulfate, niacin supplement, biotin, Vitamin E supplement, iron amino acid chelate, D-calcium pantothenate, riboflavin supplement (Vitamin B2), selenium yeast, Vitamin B12 supplement, copper amino acid chelate, pyridoxine hydrochloride (Vitamin B6), manganese amino acid chelate, Vitamin A supplement, thiamine mononitrate (Vitamin B1), Vitamin D3 supplement, folic acid and rosemary extract. The ingredients in Molly’s secret recipe (grain free) are: deboned lamb, lamb meal, chickpeas, dried potatoes, dried sweet potato, lentils, potato starch, canola oil (preserved with mixed tocopherols), sunflower oil (preserved with mixed tocopherols), natural flavor, potato protein, dried plain beet pulp, potassium chloride, salt, choline chloride, DL-methionine, mixed tocopherols and citric acid (preservatives), taurine, zinc sulfate, niacin supplement, biotin, Vitamin E supplement, iron amino acid chelate, selenium yeast, D-calcium pantothenate, riboflavin supplement (Vitamin B2), copper amino acid chelate, Vitamin B12 supplement, manganese amino acid chelate, pyridoxine hydrochloride (Vitamin B6), Vitamin A supplement, thiamine mononitrate (Vitamin B1), Vitamin D3 supplement, folic acid and rosemary extract. This is obviously a high-quality dog food that is made to provide top nutrition to pets. While it’s not available in a wet formula, I think it would be an excellent option for any pup that eats dry kibble. As I mentioned in the introduction of this article, higher quality food is always more expensive than lower quality alternatives. The price of this food varies depending on the size of your pet. A 30-day supply for our 70-pound Labrador cost $79. That’s about $2.63 per day. A 27-day supply for our 30-pound Beagle cost $54, which is $2 per day. When you compare this price to other high quality dog food brands, it’s quite a bit cheaper. Plus, you get Puppo Personalized Dry Dog Food delivered to your door, so the convenience adds to the value. As the temperatures continue to increase, more dogs are at risk of overheating. Not many dog owners are aware of how dangerous overheating for dogs can be. One of the ways to keep your canine cool is through hydration and providing a way for dogs to cool themselves using the best dog pools that fit your dog’s size perfectly. Vets say that a dog pool is the quickest way to cool down a dog and to keep your pet cool throughout the day in summer, especially when placed in the shadow and away from the direct sunlight. We’ve been seeing an increased amount of warnings from veterinarians about preventing overheating in dogs and avoiding heatstroke. Veterinary universities continue to issue warnings for owners about the dangerous summer heat temperatures and the importance of allowing your dogs to cool down, whether by using a hose with cold water, buying a dog swimming pool, or at least dumping your pet into a dog paddling pool for a short time. As this Tufts professor says below, ensuring your pet always has access to water is essential. Majority of owners who cannot have one of these best dog pools in their backyard at least can try to provide their pets with some shade. It’s important to understand how to safely using swimming pools with dogs. The first rule is to never leave your dog alone with a pool (yes, even a wading pool and yes, even at home). Even if your pup is a great swimmer and as well-trained as they come, accidents happen (and have been reported before), and it’s important that you are available immediately should something happen to your pet in a pool. What kind of accidents could happen with dogs in pools? Dogs with seizures, syncope, or other health problems can experience medical events that put them at a higher risk of drowning. This are far more likely to be dangerous around regular pools, but even wading pools pose a certain degree of risk. Practice caution. What Makes a Good Dog Pool? Investing in a high-quality pet pool may be worth it for you if you have the budget, but if you have limited funds, it’s important to balance your price with the quality of the pool, and we’ve considered that with several below mentioned options. We also considered how durable the pool materials were, that is, how does the pool look after a few weeks to a few months of use, and how resilient the materials are to your dog’s paws and scratches? Does the pool have a protective coating that prevents fading, or will it fade or weaken in the sun? It sounds funny to talk about “ease of use” when talking about a swimming pool, but what we mean is – do you have to pull out an air compressor to get the doggy pool blown up for use or does the pool simply pop open like a folding tent? For us, ease of use wasn’t a major deciding factor on pools, but it did play a minimal role. Is the pool intended for use by dogs or is it designed for human use only? This isn’t a factor that would prevent us from recommending a pool, but it was taken into consideration. For example, we wouldn’t recommend paying $100 for a luxury inflatable pool designed for human use only. While it may be a good purchase for your human family, the chances are that it’d be shredded in seconds by nails if you allowed your dog to get into it. Price is a big factor in purchasing a dog pool, particularly if you’re working on a budget, and some of them can be very expensive. After all, who wants to pay three figures for a pool that is going to pop when their dog tries to climb into it? It’s all about a balancing act and finding what is right for you and your budget. In the below listed best dog pool picks, we’ve considered several options including more expensive and cheaper ones that we thought are perfect value-for-price. By now you know that a dog swimming pool is the quickest and most effective way to allow a canine to cool down in hot weather daily. In particular, if a pet pool is placed in a shade, it can be a heaven for your pooch when summer temperatures get really high. Some dog owners also place a canopy dog shade over the pool or over their beds to prevent direct sun rays hitting the dog. There are some cheap shades out there like this one for example. Dog Cooling Pads – these are particularly good for owners who do not have a backyard and have their dogs stay indoors. 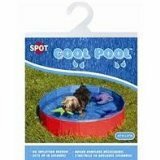 They’re also good in addition to a doggy pool for the times when your dog prefers to stay inside. These are simply cooling dog beds that chill your pet when he’s lying on it. Ice Water – there’s a myth that dogs should not drink ice water due to potential issues of canine bloat or spams. This is completely incorrect, according to vets and science. You can give your dog ice water as long as your dog drinks it in small amounts and not gulps down a whole bowl of icy water. 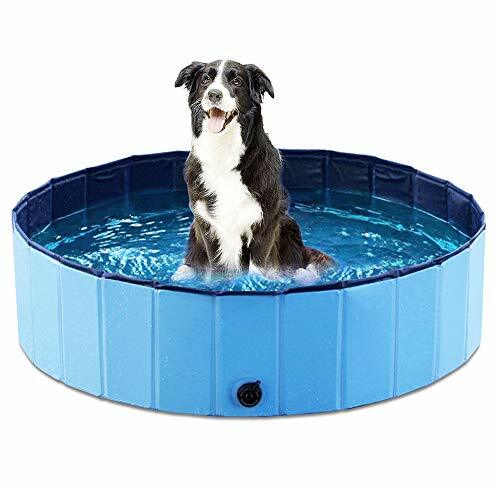 Dog Paddling Pool – a cheaper and smaller version of these best dog pools, a paddling pool for dogs is a good way to give your pet access to chill water to sit in when it’s hot. These dog paddling pools are very convenient because they can be built and broken down quickly, but they’re not as sturdy. A Hose – if you have a water hose in your backyard, you can always hose down your dog with water as a fast way to cool him down. However, not all dogs are friendly towards hoses and may be scared of this equipment. Nevertheless, it’s worth trying to see if your dog enjoys it or runs away from it. 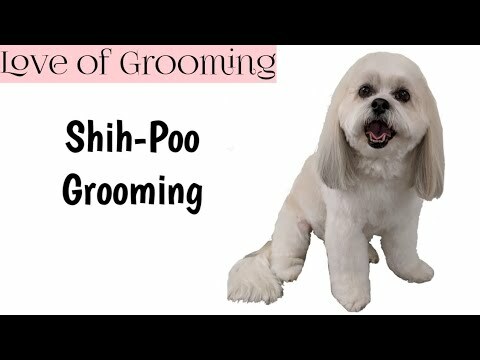 Dog Grooming Tub – as a final alternative to these best dog pools, you can get a grooming bath tub for dogs. These can run from very expensive (professional dog baths go up to $1000+) to some cheap ones that can be easily set up in the backyard and cost around $100-$200. Homeowners with backyards who’d like to give their dogs relief from summer heat may look into backyard misting cooling systems that are safe for pets – much better and more fun than a simple hose. And if you’re traveling in a car with your dog in summer, you may also want to consider installing a dog-friendly car cooling fan for an extra level of ventilation and protection against heatstroke for your dog in the vehicle. In the below list of best dog pools, we’ve tried and reviewed top options that are currently available. Here’s a quick overview of each dog swimming pool if you’re not interested in further details. Pet owners who are looking for the best dog pool and cannot pick out of these options on the list may also want to consider a hard plastic kiddie pool; some of those (but not all) can work for dogs as well. Amazon has a large selection of best kiddie pools that fit some dogs right here. For the rest, see below. The One Dog One Bone Paw Shaped Dog Pool is the dog pool that you are most likely to see on an episode of Animal Planet’s Animal Cribs with Antonio Ballatore (if you haven’t seen it yet, we highly recommend it!) It’s no fluke that this is the pool style that Ballatore and his team rely on – it’s durable, UV resistant, chew resistant, heavy-duty, and able to hold 20 gallons of water making it the perfect pool for your smaller pups. Made from the same material as a truck bed liner, the One Dog One Bone Paw Shaped Dog Pool measures around three feet by three feet and is half a foot tall. We don’t recommend this one for you big dog parents because your pup is going to be pretty limited in their movement and the water isn’t going to be that deep, but it is ideal for smaller to medium sized dogs – especially those “diggers”! This is also a great pool option for use as a sandpit and ball pit if you’re looking to add some additional stimulation to your dog’s routine. We really love the fact that this pool is so durable and that it’s been constructed with UV exposure and dogs that chew in mind so that it maintains its appearance over time. We’d also be remiss if we didn’t mention the adorable paw shape that adds a little more whimsy and thematic fun to any doggy backyard paradise. Another thing that really caught our attention about this pool is that it can be set in the ground or in a custom-built deck to create the appearance of an in-ground pool. Lastly, this pool is also available in a few colors (we’ve seen tan, blue, white, and pink) which gives you a little more flexibility with design if you are trying to create a backyard playground for your dog. What we’re not so fond of with this pool, though, is that the bottom – although textured – can be pretty slippery, so avoid it if your pup is unsteady on their feet. We also didn’t like that this pool is only suited for smaller pups – it’d be ideal for dogs of any size! In all fairness, however, there is mention of larger sizes being available even though we couldn’t find them! We recommend this dog pool for smaller to medium sized breeds of dog and pet parents looking for a thematic pool for their backyard pet paradise. Multi-functional – can also be used for sand or as a ball pit. Cannot be punctured like other pool options. To drain you must flip the pool since there is no drain built in. Difficult to store if you’re not looking for a permanent pool. 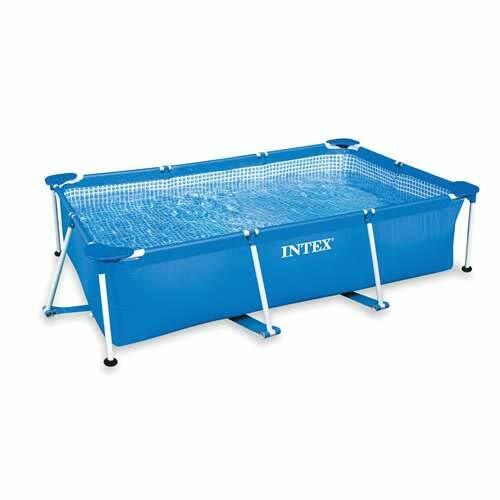 Intex Ultra XTR Pool Set with Sand Filter Pump, Ladder, Ground Cloth & Pool Cover is for those of you who are committed to going “all out” with your dog pools. Okay, there is probably a good part of you that intends on using this pool yourself too. But this is a really great option for dog-owning families that swim regularly and it’s surprisingly affordable too. Ready for water in 60 minutes…. The Intex Ultra XTR Pool Set with Sand Filter Pump, Ladder, Ground Cloth & Pool Cover has a powder-coated galvanized steel frame with a locking system to keep it in place and a durable liner with added protection on the floor of the pool to make it puncture-resistant. Unlike other pools on our list, this pool is the “real deal” in that it comes with a filter, cover, and ladder so that keeping the water clean is much easier and the water (all 6,981 gallons of it) is going to be much more sanitary for your whole family. There are plenty of features that we love about this pool because…well, it’s a full-sized pool! It sets up within an hour and has all of the features you would expect from an above ground pool. While this is a pricey pool option, it comes with a two-year manufacturer’s warranty and is going to last a good long while so long as you spend the time to keep it maintained. What don’t we like about this pool? The price is obviously a factor since it’s much more costly than the other pools on our list! You will also have to look into adding a ramp for your dog to easily get into and out of the water or have the pool set into a deck. Lastly, this is a pool that will require regular maintenance as we mentioned above, so if you have trouble staying on top of regular housework or chores, you might be better suited to a smaller pool option. We recommend this pool for any dog family that wants to make a larger investment in a filtered pool for the whole family! It includes a filter and pool cover for cleaner water. This is a large pool which requires a lot of space in your back yard. Having a full-sized pool will attract the entire neighborhood to your yard. Regular maintenance is a must. 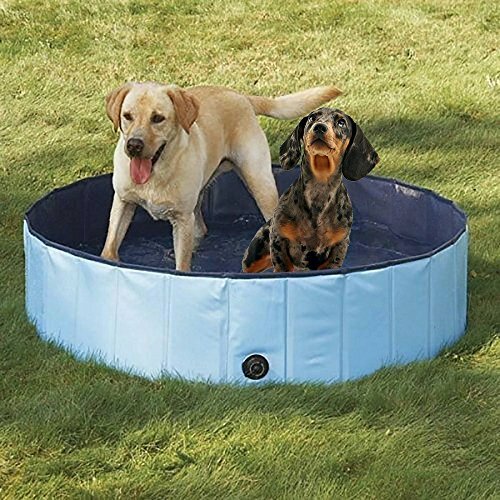 Made from environmentally friendly materials, there is no inflation needed with this pool option so there is no risk of popping and so long as you keep your dog’s nails trimmed, you won’t have to deal with rips either! All you have to do is unfold the pool, fill it with water (or non-toxic children’s ball pit balls), and when your pup has finished playing, drain out the water with the bottom side drain. We like quite a lot about this dog pool which is probably why we purchased our own and use it frequently. The first thing that really sold us on it was the fact that it’s non-inflatable because inflatable anything and dog nails just don’t go together well. We also like that Jasonwell put the extra effort into making the bottom of the pool extra-thick with a non-slip texture. Not all companies put this effort into their dog pools, but it really does make a HUGE difference especially if you have an older dog or a dog who is unsteady on their feet. Lastly, we love that everything about this pool is so easy! It takes seconds to unfold and pack away after use and it’s so much easier to store than inflatable pools that always manage to stay inflated enough to make storage difficult. If there is something we had to point out that we didn’t like about this pool it would be based on the experiences of a handful of other pet parents who had to return their pool. For the most part, these pet parents returned their pools due to a leak or structural problem causing the outer walls of the pool to lean outwards. These problems seemed few and far between, however, customer service required that all returns have a $15 return postage fee attached to them which we feel is unfair when the problem arose from product defect. We are also cautious about recommending this pool for “leaners” since the side walls can be pushed outward if enough force is applied. We recommend this pool primarily for ball pit use, however, other pet parents use theirs for water regularly and love this pool as much as we do. Reinforced bottom with a non-slip texture. Made with environmentally friendly material. Features a large water drain at the base of the side wall for easy draining. If your product is defective, expect to pay a $15 return shipping charge. Not ideal for dogs that lean. The above option of the best dog pool – the famous Bone Pool – may not be always available. In fact, it seems like the manufacturer is switching from the Bone Pool dog pool onto this One Dog One Bone doggy pool which is rapidly becoming one of the best selling dog pools on Amazon. Even though the Bone Pool has earned a reputation as one of the best dog swimming pools, their new version seems to be not only an improvement over the previous one, but it’s also about $20 cheaper. The company that goes by the name of One Dog One Bone has been manufacturing and selling dog swimming pools for years now, and is the leader in high-end best dog pools. Not all dog owners choose to pick a dog-specific pool and some prefer hard plastic kiddie pools, which may work in certain cases but aren’t really designed for pets (break to quickly, don’t fit the dog, isn’t fun for the dog, etc.). If you’re in the market to buy a dog pool specifically designed for canines, chances are that One Dog One Bone products is where you’ll make your final stop. 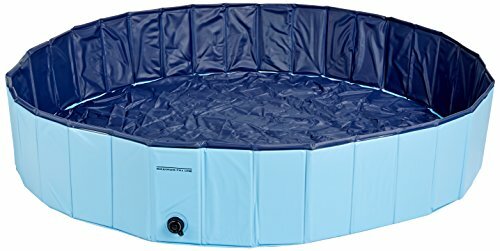 I highly recommend this best dog pool for anybody who can afford to spend the extra dollar on a dog swimming pool which will last for a long time. Before you buy, make sure you measure your dog and know exactly whether he’s going to fit into this dog wading pool or not. This is very important not to guess the measurements and actually measure your dog. On top of that, make sure you read this best dog pool reviews to ensure that you know exactly what you’re buying. Similar to the Jasonwell Foldable Dog Pool, the Petsfit Leakproof Fabric Portable Dog Pool has a unique structure and is easily portable. This pool differs, however, in that it is made with fabric (heavy oxford and waterproof nylon cloth) and has thinner walls which are supported by a heavy-coated wire frame. Although it looks somewhat flimsy (we weren’t entirely sure it could hold up to being filled with water) it is surprisingly durable and immune to puncture. The Petsfit Leakproof Fabric Portable Dog Pool folds into the size of one of the pool’s panels and with the fabric texture, it reminds us of a flat pack tent and it’s just as easy to “put up”. You can also find this pool in multiple sizes – we tried the large which was quite roomy for small to medium-sized pups at 41” diameter by 12” deep but you may find it seems to “shrink” if you plonk a large Malamute in the center of it! 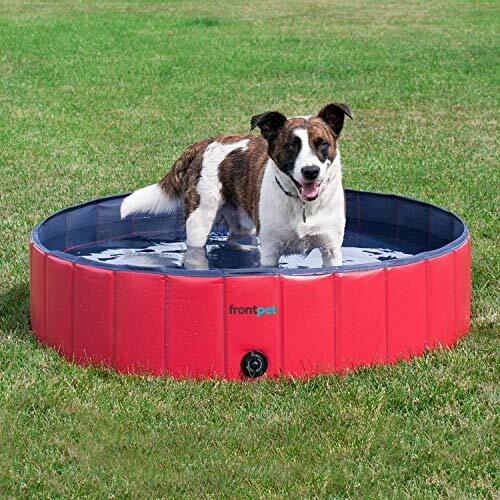 As with the Jasonwell Foldable Dog Pool, we like that the Petsfit pool doesn’t have inflatable sides and that this pool can fold into such a compact and portable panel. We also decided – after seeing this pool and the others on our list – that 12” deep is a good depth for the sides of the pool because it keeps smaller dogs contained and allows enough water to keep a big dog’s belly cool too. There were a few things that we weren’t happy with when it came to this pool, though. The first thing we found aggravating was that the pool had no drain built into the side. The manufacturer instructs you to “press the side of the pool down” to drain out the water, but a drain and plug would have been a much more practical. We were also a little surprised by the price point of this pool option particularly in comparison to the Jasonwell pool – the big price jump seems to be from the use of fabric which is increasingly resistant to puncture and the 9” difference in the diameter of the pool. Easy to fold, transport, and store. No having to inflate the pool! The largest size of this pool is quite small in comparison to other pools. 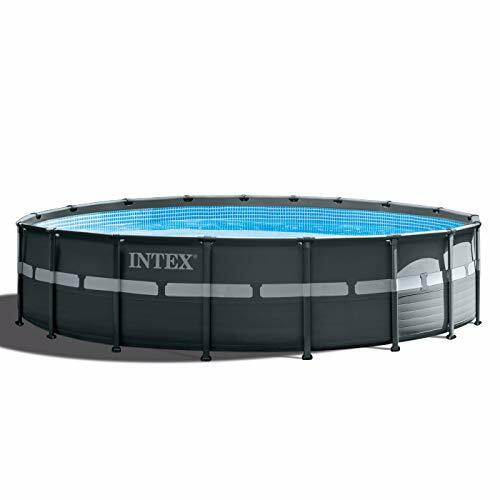 The Intex Rectangular Frame Above Ground Baby Splash Pool is as close as you will get to an above ground pool for the price of a large wading pool. When we say that this pool is big, we mean, this pool is HUGE, which is great for our big dog parents out there. You will have to figure out a way to help your pups in and out of the water – we suggest a ramp or something similar to avoid your big dogs straining the side of the pool as they get in. Overall, though, this is a fabulous option if you have the yard space! The Intex Rectangular Frame Above Ground Baby Splash Pool has a strong powder-coated steel frame and the sidewalls are laminated and stand up well to use. We were slightly concerned about this pool being punctured by dog feet but were pleasantly surprised by how strong the lining actually is. Plus, although it looks quite complicated to set up, you’ll find that it only takes about 30 minutes to get it ready for the water. We love a LOT about this pool beginning with the size. As a “big dog” family, it can be hard to find a doggy pool that is large enough for big pups yet not inflatable, but this one fits the bill. Additionally, the price of this pool in combination with the structure makes it a real steal when you compare it to other pool options. Lastly, another big selling point for us with this pool option is the large drain plug that you can actually attach to your hosepipe to make sure that the pool drains completely without any hassle. There isn’t too much that we didn’t like about this dog pool (it’s actually a human pool, but it’s been proven durable for dog use by multiple pet parents!). One thing we do have to mention, however, is that unless you have a nice big fenced yard, this isn’t a pool that we’d advise sticking in the front yard because your homeowners’ association will likely complain. It’s a huge pool and while it does its job, it can be something of an eyesore if it’s sitting in a front yard for the world to see. We also wish that this pool had a more dog-friendly entry point, but since it was built for human use, we can’t exactly complain. We love this pool for the whole family – two or four legs – but it’s perfect for those of you with giant breeds who have trouble finding a suitable sized but affordable pool. The size can be a deterrent if you have limited space. This is not a portable pool that you would put up and pull down as easily as other pools we have looked at. Not suitable for front yard use if you have a picky homeowners association. What a great alternative to the previous two options of best dog pools, and at a cheaper price, too! This dog swimming pool is by far the winner over the previous two dog pools, mostly due to cost to value ratio, but also because this item seems to be a much more durable and less defective option. The dog pool measures at 31 inches in diameter and 8 inches in depth. It is going to be perfect for most smaller dogs. Ethical Pet Products dog swimming pool is made 100% out of PVC materials to prevent your dogs from ripping through it. When you’re ready to prepare it, the process will take you just a few minutes, as there’s no need for inflation or any special setup. A convenient plug will help with quickly draining the water out of the dog pool as well. For the most part, majority of customers are very happy with their purchase, and you can’t beat that price. The Bestway Splash in Shade Kids Spray Play Swimming Pool with UV Canopy is a new product on the kiddie pool market, but it’s also a great option for dog parents too. Not only is this pool a large and durable pool option, but it is also designed with a removable UV canopy to keep your dog out of the direct sun while they’re cooling off in the pool. We found this feature particularly handy for our black dogs who always soak up more sun than the others! 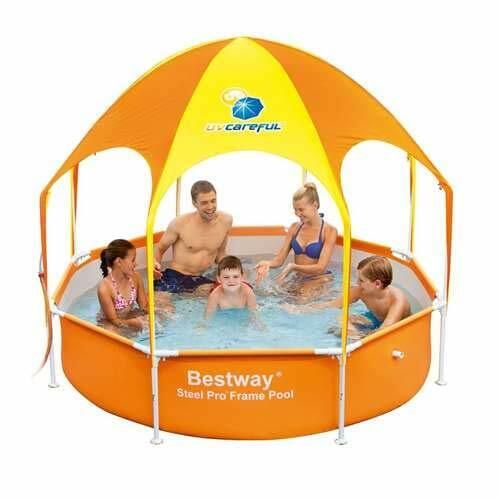 The Bestway Splash in Shade Kids Spray Play Swimming Pool with UV Canopy is made with a rust-resistant steel frame and the side walls are constructed from PVC and polyester. Despite looking quite thin, the walls are three-ply and do stand up to use by larger dogs. The UV protection canopy is rated UPF (Ultraviolet Protection Factor) 40+ and it has a water mister built into it that can easily be attached to your hosepipe so that your pup is truly cooling off all over! We love the size of this pool in addition to the fact that it’s got sun protection built in. Compared to other pools on our list, this one also had the extra fun factor of the shade mister which makes it fun for the whole family. This is also a very affordable pool option with quite a few “perks”, although if you have a more active dog, it may not be the best choice since the canopy can get in the way of energetic play. Lastly, this pool also has a drainage pipe which makes emptying it quick and easy. What we weren’t too happy with when it comes to this pool is that although the canopy can be removed from the pool, the poles that hold the canopy in place do have to stay in position which can be a little dangerous if your dog (or you) are clumsy or uncoordinated. Water mister built into the canopy. The poles of the canopy cannot be removed. The bright color isn’t for everyone. A pool cover cannot be used due to the canopy poles. If the above and below swimming dog pool isn’t available, or the size doesn’t fit your dog, I recommend taking a look at this one. In recent months, the company Frontpet has put out their new product – value-priced dog paddling pool that’s easy to put up and use in your backyard. This dog pool has resonated well with many dog owners, and has received tons of positive reviews from those who allowed their pets to swim in it. Frontpet’s dog swimming pool is a great alternative for owners who cannot find anything better on this list. It’s not plastic like the Bone Pool from One Dog One Bone company, so there are still dangers of ripping it. However, the advantages is that it’s much cheaper, easy to use, fairly sturdy and resistant to dogs’ nails and can always be put up or folded back together in a minute. Let’s me start by saying that it’s close to what you consider to be a dog paddling pool but somewhat different. Splash About Dog Pool is what you buy from all of the options on this best dog pools list the above option from Pyrus doesn’t fit for whatever reason. However, both of these pools are extremely close in structure, design and even sizes. Every dog owner knows that for canines who love swimming, no dog pool will ever be too big. The size of this one is 63″ in diameter and 11.8″ in height. That’s a decent size, but you can try other two. This Splash About dog swimming pool has a portable, easily foldable design so that dog owners can take it anywhere. Dog wading pool is made out of the stronger PVC material to sustain more damage from larger dog breeds and last longer. However, note that a few dog owners who recenlyt purchased this item complained about the quality of these pools, mostly referring to defectiveness and leakages. This doesn’t mean that it’ll happen to you, but it’s better be safe than sorry. A decent and affordable dog swimming pool, Pyrus’ Dog Bathtub pool has probably the most straightforward and simplistic design. It’s somewhat small and won’t be the sturdiest option you can find, but the advantages are that it’s portable and foldable, which makes it easy to setup quickly. If you’re thinking about taking this best dog pool anywhere with you: when going to your neighbor’s, to the beach, relaxing by the lake and so forth, this won’t be your worsts choice. It’s very easy to use – just unpack, unfold, fill up with water and your pooch can immediately go enjoy his own dog pool. Price could’ve been cheaper, consider that there’s nothing special about this dog pool and there are other alternatives to this pet pool, but it’s not too high either. Dog swimming pool itself has a sturdy construction when compared to other dog pools of similar plastic design, and it also has a drain. Make sure you read the dimensions before ordering. Your canine will need a little wiggle room when trying to refresh himself, but this pool does seem to allow plenty of space for medium sized dogs. 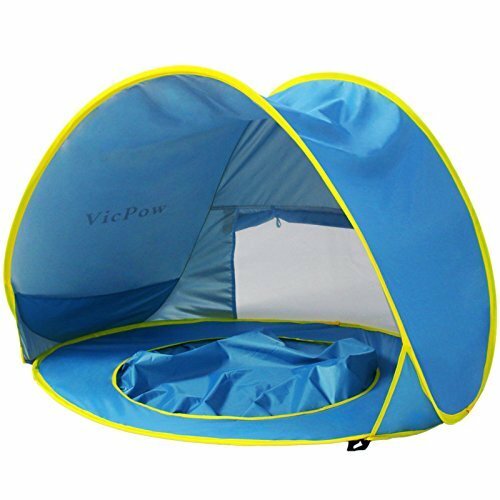 The Portable Infant Sun Shelter Play Beach Tent with Kiddie Pool is less of a pool and more like a footbath, but it is a fun solution for small dogs and days at the beach. Designed with a small dip in the center of a pop-up tent that can fit into a hole in the sand or in your backyard. The tent measures 47.5″ wide, 31.5″ deep, and 27.5″ high and the center (23″ by 28″) holds between 2 to 3 gallons of water – so when we say small dogs, we mean SMALL dogs. The Portable Infant Sun Shelter Play Beach Tent with Kiddie Pool is made with UV protection / UPF 50+ polyester fabric so that your small pup is protected from the sun while they bask in their mini pool. The back of the tent is made with a mesh material that allows for airflow so that your dog isn’t overheating. Plus, for those of you who plan on taking this one to the beach, you get a free carrying case so you can fold and go. We were surprised by how much we loved this pool option even though it is relatively tiny compared to our big dogs. It’s a fun solution to trips to the beach on warm (not hot!) days where we used to dig holes in the sand to create cool spaces for our dogs to lie after a long play session. We love how portable this tent option is and that it’s not as bulky or as much of an eyesore as some of the larger pool options, but of course, that comes with a BIG tradeoff since it only holds between 2 and 3 gallons of water! The one thing we would change about this affordable pool option is that we would make it available in larger sizes so that it could accommodate larger dogs too. That said, again, this is a product designed for human infants, so we can’t complain too much. 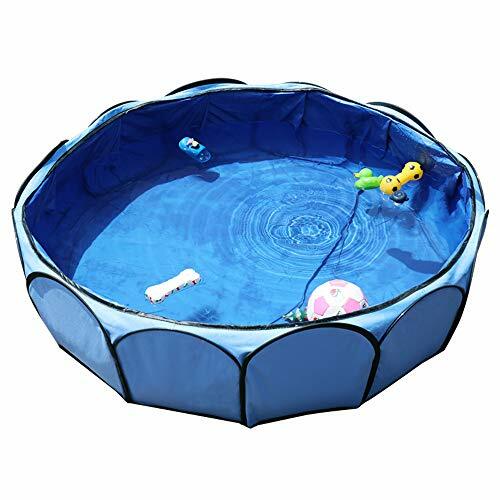 We recommend this pool for the tiny dog family who loves to travel because it’s so portable but so small! Fast to set-up since it’s essentially a popup tent. Features a mesh vent option to allow airflow. Includes four stakes to hold the tent in place. Difficult to fold back into its original shape for the carry bag! Requires a hole for the center of the tent to sit in so that it can be filled with water. While we obviously love the very large, high quality and stylish Intex Ultra XTR Pool Set with Sand Filter Pump, Ladder, Ground Cloth & Pool Cover, we know that it’s not a practical solution for most families out there, and at $600+ it’s also a very expensive option. This is why we picked the Paw Shaped Dog Pool made by the famous “One Dog One Bone” company as our top pick. This great look, heavy duty and durable, and very popular pool is an affordable option for almost any budget, and it isn’t too imposing. A nice size with a lot of room for big dog families, it’s very sturdy and doesn’t have any cardboard inserts that make it unreliable (unlike many other later listed options). 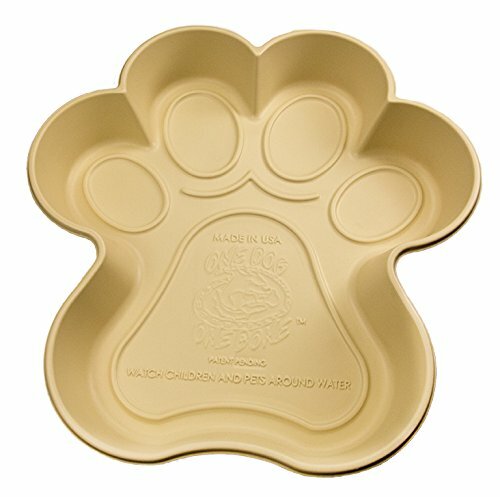 And of course, its design and paw shape simply makes it a good look item standing in your backyard. If the Paw Shape Dog Pool isn’t the choice for you and you have the budget and the space for the Intex Ultra XTR Pool set, then we highly recommend that option. The only thing we didn’t like too much about the Intex dog pool was the lack of a dog-friendly entry point, but that can be worked around with a dog ramp or dog-friendly steps. Why should you buy a dog swimming pool? Most pet owners usually buy swimming pools for dogs for two reasons. One, this is an immense amount of fun for the dog and you know your dog would love that. Two, it’s the best way to let your dog refresh himself during hot summer days and avoid summer heatstrokes and dog overheating, both of which are very dangerous to pets’ health. There have been multiple warnings from vets and other dog experts on how important dog swimming pools are for every home’s backyard, or at least some time of plastic dog pool that allows your canine to cool off, fast. Vet universities continue to encourage dog owners to provide constant water supply, both for drinking and usingin their best dog pools. Further to vet universities’ warnings, study after study have found how easily dogs overheat in summer with little to no access to water. Hosing down a dog can be an option, but using a dog pool is easier, safer, consumes less water and – most importantly – majority of pets find dog swimming pools fun. Dog owners who wish to provide their pets with even more fun things to do in a swimming pool can also look into pool floats for dogs that allow them to relax in the dog pool. And those who cannot afford any of the swimming pools for dogs listed below may want to check out a list of cheap dog paddling pools. You can also hose dog your dog now and again, but this process may get bothersome for owners, and it takes more water and time. Dog swimming pools have always been the best option. Be aware that dog wading pools can be dangerous for young puppies. Always start them off with a few inches of water to let them get used to the sensation, use dog treats if necessary and other dog training techniques. Once your pooch understands that pool is no danger, it’s going to become his second home in summer. Never throw your dogs into the pool, and always let them experience this themselves. With that said, you can “lure” them into the dog swimming pool, if your canines do not understand what they’re missing out on. Grab a hot dog, slice it into small pieces and let it float in the dog pool. In general, there are many reasons to buy a swimming pool for dogs. It’s a great place for your pets to have fun, to reduce stress and cool off during hot days. Dog swimming pools also help with training canines to get used to water without putting them through the stress of ocean waves. Dog pools will be disease-free, unlike lakes or other dirty places your dog might choose. It’s also convenient for washing your dog’s paws after walks in the dirt. TIP: DO NOT TRUST THE PICTURES. MEASURE THE DOG, READ DIMENSIONS. What to look for when purchasing the best dog pool? Naturally, best dog pool will be the one you purchased as new. However, as you’ll see from our dog pool reviews below, the best swimming pool for dogs will not always be the cheapest. One of the reasons you’re buying a dog pool is because you want to avoid your pet swimming in disease ridden lakes, so checking your pool to be ultra clean only makes sense. Dog owners who opt in for buying a new swimming pool for dogs should not worry about the instructions of how to choose one. The only thing you need to keep in mind is how big is your dog and what’s the measurement of the pool. 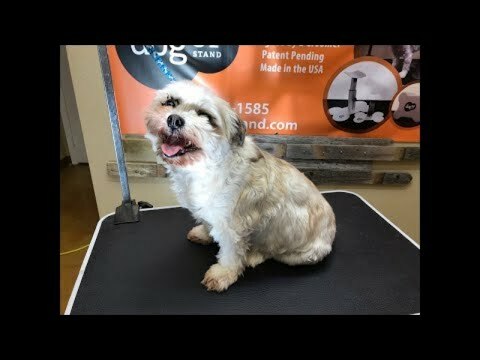 Other than that, the rest of information is provided by the manufacturer, which you should consider, and you can always look through our best dog pool reviews as well as see what other customers have said on sites like Amazon and Petco. Air fryers are becoming popular kitchen gadgets. They use hot-air circulation to cook food from all angels at once. If you’ve been looking for a way to use your air fryer to make a snack for your pup, these air fried dog treats are simple and healthy. Unlike traditional fried foods, an air fryer makes low-fat meals. Not only can you make healthier food options, air fryers also prevent the unwanted smell of frying foods inside your home. They are also very easy to clean! 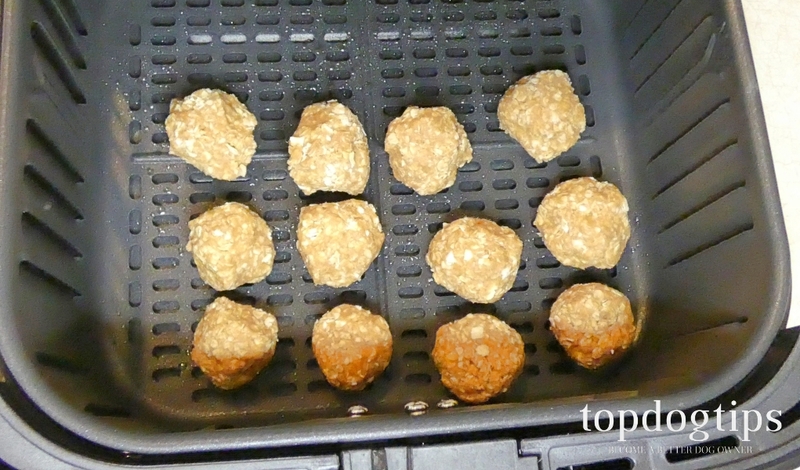 In this video review, I’m using my COSORI Air Fryer. I explain all the features of this product and why I like it better than other options in my video review of the fryer. Keep in mind that these dog treats can be made in any air fryer, as long as it has an adjustable temperature setting. Preheat your air fryer to 350˚F. In a medium-size mixing bowl, combine the applesauce and peanut butter. Mix the two together until smooth. 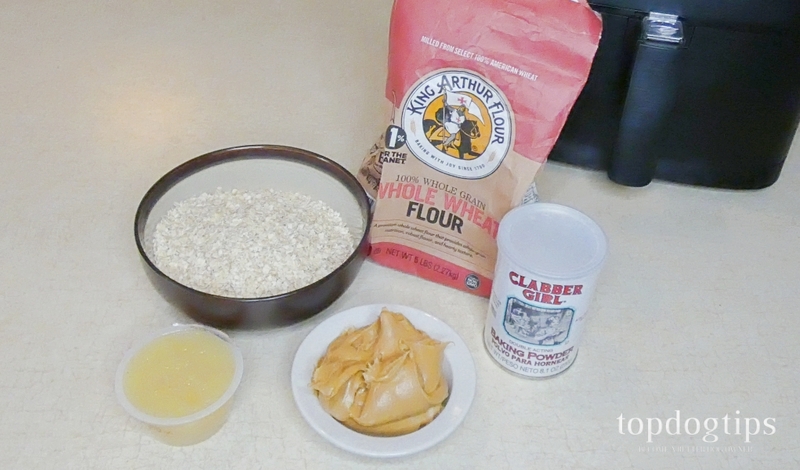 Add the oats, flour and baking powder. Mix until a dough forms. As you can see, these air fried dog treats are made with limited ingredients. They are ideal for dogs with food allergies or sensitivities. If your dog is allergic to wheat, choose gluten-free flours like chickpea, sorghum or oat flour. Once you’ve mixed the dough, spray the air fryer basket with cooking oil. Roll dough balls that are about 1 teaspoon – 1 tablespoon in size. The appropriate size will depend on the size of your pup. Fill the basket with a layer of dough balls. The balls shouldn’t be touching, but they don’t need to be spaced very far apart. DO NOT put more than one layer of dough balls in the fryer at one time. Cook the treats at 350˚F for 4 minutes. Turn the dough balls over and air fry them for another 4 minutes. Remove the fully cooked dog treats and repeat this process until you’ve used all of the dough. Once the treats have cooled, you can feed them to your pooch. These treats will add unnecessary calories to Fido’s diet, so be sure to feed them in moderation. You can store leftover air fried dog treats in an airtight container for up to 2 weeks.